Business Intelligence or BI is a very popular due to the availability of data. Businesses use these BI tools to understand their customers better, and plan the marketing strategies based on the same. We will evaluate the top eight BI tools which are available for download and evaluation. It helps in the creation of reports and dashboards. The tools can interpret the trends and patterns within Big Data. The tools integrate well with the data warehouse software. Active Reports is a .Net reporting platform. It provides developers with useful tools like API’s, data visualization controls, report designers and viewers. There is a server version available to display these reports. The server can have a schedule to create these useful reports. These reports are published for users to view through a browser. 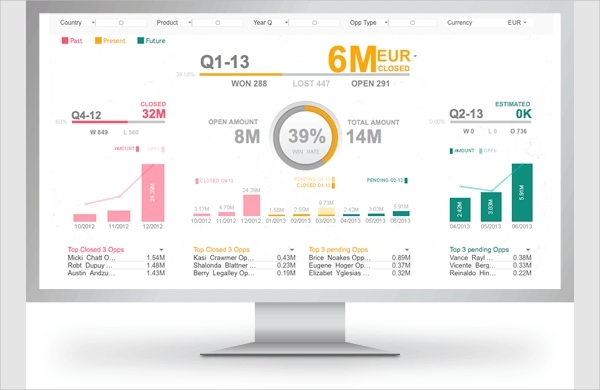 Qlik is a platform which allows you to create the visualization and dashboard with the available data. It presents trends and patterns which help to make decisions. It provides insights across all areas of the business. It has an easy and intuitive interface to use. You need to drag and drop elements to create smart visualizations. 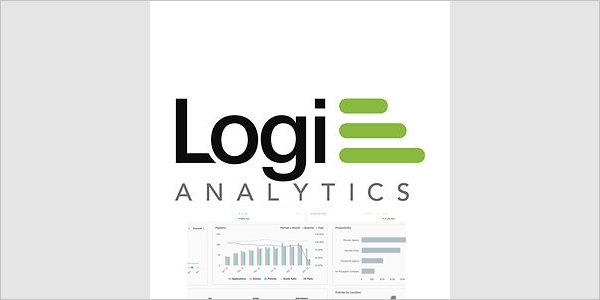 Logi Analytics is a platform for creating BI reports easily. 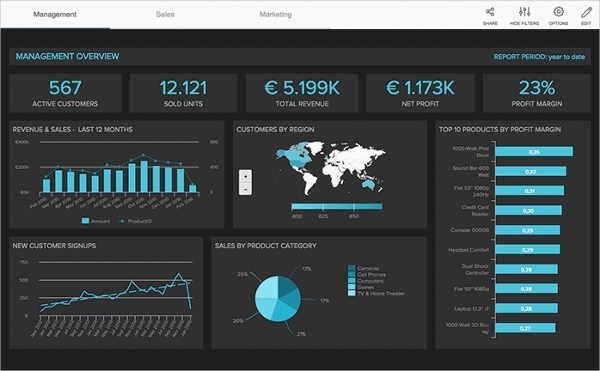 It integrates with your applications making the application BI ready. It has a rapid development environment for creating these reports. It provides self-help capabilities so that user can use the various charts and create the necessary visualizations. It connects to any data source. GoodData is a platform which helps business to provide analytical data services to other customers. It has the ability to provide, monitor and manage an analytic environment for its customers in a secure and scalable way. The analytics service helps users to work with analysts and find answers to the business problems. This software is available from Lucidchart. It allows you to draw the business process in details and has a large number of symbols in its library. You can show your data by showing the flow of data. A picture can help in simplifying complex scenarios. It can help you in simplifying the processes through Six Sigma. There are various data mining tools available and some of them are open source and free. 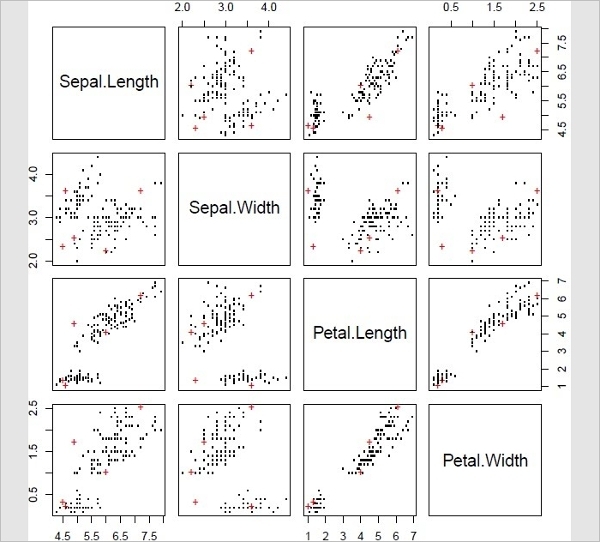 R is a free software environment for statistical computing and graphics. R-Studio and Tinn-R are graphical IDE environment for R. Weka is an open source data mining tool written in Java. It has machine learning algorithms for data mining. 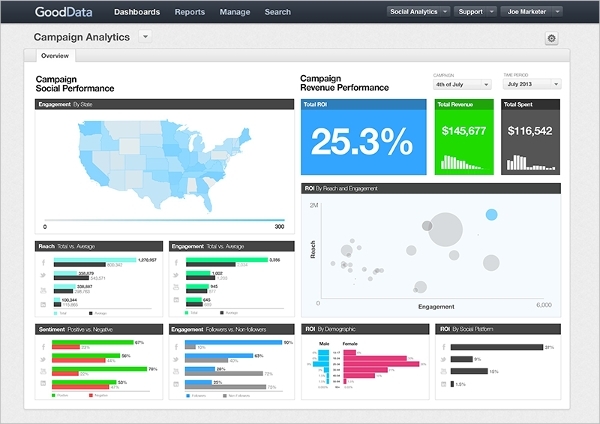 It is the world most popular business intelligence and reporting software. It allows developers to develop reports and has a repertoire of tools for the same. 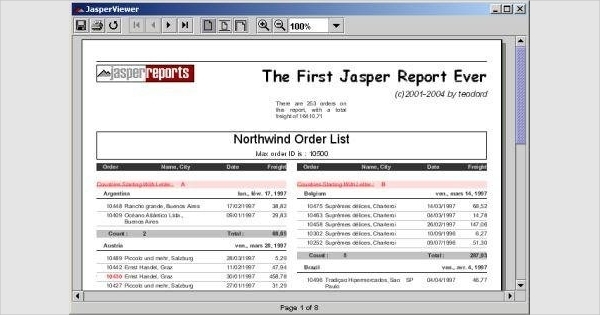 There is a Jaspersoft server to host these reports and run the server. It connects to any type of data sources. It can export the reports into any format like HTML or PDF. BI tools is a software which helps users to look at their data and get insights based on the trends and patterns. It helps them to take action to better the business. The BI development tools allow a developer to develop quality reports and visualization tools. The tool gets integrated into an application and provides seamless dashboard and reports for analysis. 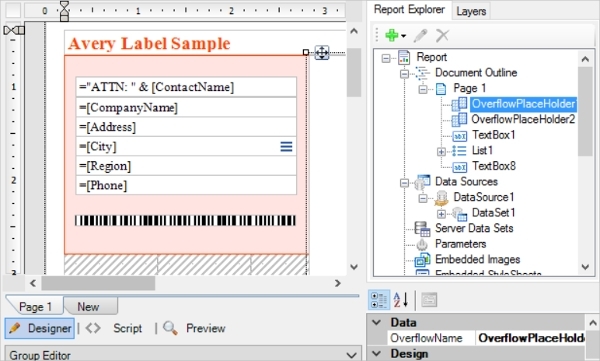 The BI tool for users helps them to connect to any data source and help them with different visualization capability. It allows them to analyze using various functions. 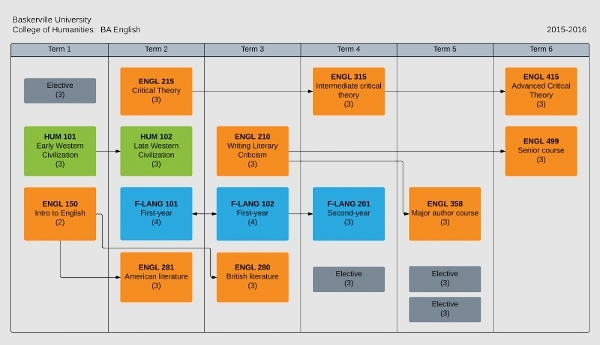 The BI tool is able to connect to large data sets which may not be connected logically but can make inferences using machine learning algorithms. We have reviewed top 8 BI tools. You can choose the tool required based on your need of developing reports and making it available to a user or to visualize and analyze data. It will help you in a variety of ways. So go ahead and use the BI tools to do data analytics.